Interactive geometry programs, mathatical programming and mathematics tuition. Advanced demo, covers all types of curves and surfaces. A Java library for parsing, evaluating mathematical equations. Jep is a small fast mathematical parsing and evaluation library. It suports various datatype including, BigDecimals, strings and complex number and has a wide rang of built in functions. It is highly customizable allow diferent syntaxes for equations. I am co-developer and its available from singularsys.com. Jep Extensions is a set of extensions to Jep which add symbolic operations, fast evaluation, a type system allowing evaluation using matrices and rational numbers, limited structured programing and conversion to MathML. More extensive examples can be found in Jep Console, Extensions Console and the plotting apps to the left. Explore the 17 symmetric wallpaper patterns. Reciently I've been working with Home Educated children teaching interactive science leasons which are hopefully a bit more fun than school. A collection of uniform polyhedra in rotatable 3D. 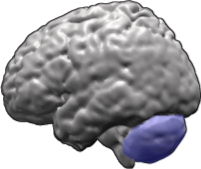 Left-Right brain and leaning styles An examination into the theory of brain lateralization, learning styles and the implications for education. Blagdon Cross rewilding what happens if you leave 80 acres of land unmanged for 10 years? The thermodynamics of tidying a room Why do rooms get messy? Is it a law of nature? Hysteresis and Sorites A philosophical investigation into how discrete labels can be given to continuously changing phenomena. All the surfaces defined by cubics equations. 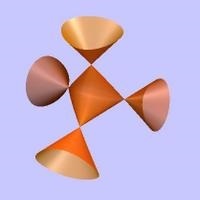 A pictorial introduction to singularity theory. I teach Ki-Aikido a Japanese physical art, deloping the mind and body and cordination between the two. 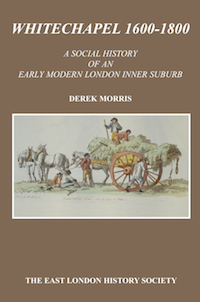 My father Derek Morris's page on Early Modern Stepney History. With details on his research into Mile End Old Town, Wapping, and the East End of London in the 18th and 19th centuaries. Some of my mathematical papers. Statistical models of object interaction. Visualizing duals of surfaces unpublished. Los'Samba Samba band based in Lostwithiel and Lerryn, South East Cornwall. Lerryn.net My local village website, which I help administer. Merseyside Dock Action me being arrested at an Earth First! action in the early 90's. Moon phases long term variations in the length of time between full moons. You can find me on Wikipedia (Salix alba), Facebook, Quora, YouTube, and Slashdot (pfafrich). I have a stackoverflow accounts on the main SO, maths and arduino stacks. I have worked with Plants For A Future a charity investigating the wide range of useful plants which can be grown and ecological systems of growing. I still work a bit with the Cornwall Site near St Veep, Lerryn, Lostwithiel, Cornwall. Ken Fern's website expands on the Plants for a Future database with an extensive temperate and tropical plant database.